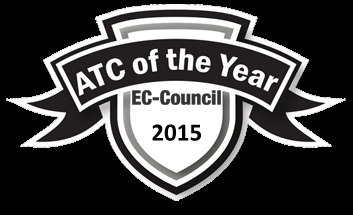 We are delighted to announce that Firebrand Training has won two honours at the EC-Council Global Awards 2015. Firebrand has been named EC-Council Accredited Training Centre of the Year. This extends a record-breaking run of successive awards to seven years. This is an achievement matched by no other training centre, bolstering Firebrand’s reputation as the elite EC-Council training centre. Firebrand instructor, Richard Millett, has also been named in the Instructor Circle of Excellence for the second time. This is the third EC-Council award he’s won, after being named Instructor of the Year in 2014 and in the Instructor Circle of Excellence in 2011. 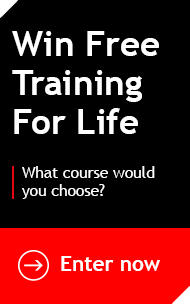 Firebrand picked up both the Accredited Training Centre of the Year (Europe) award and Instructor Circle of Excellence (Europe) award after being chosen from over 700 training centres, 107 countries and a huge group of EC-Council certified instructors, worldwide. EC-Council give their partners an extensive and rigorous set of criteria. After meeting these, Firebrand and Richard Millett were selected as the best in Europe in the two categories. The Accredited Training Centre of the Year award recognises the training centres that provide the highest level of information security training. Courses include EC-Council’s flagship Certified Ethical Hacker, the Computer Hacking Forensics Investigator, the Network Security Administrator and the ECSA. The Instructor of the Year award highlights the instructors who’re best at giving their students a greater level of understanding and ability, enhancing their skills the most.